Windows 10 on a PC is great. On a phone? Not so much. Microsoft will be releasing Windows 10 on mobile devices this fall, running a similar but fine-tuned for mobile experience that the company built for PCs. Windows 10 Mobile is currently available in beta. Microsoft (MSFT) seems to have built a beautiful solution in search of a problem. 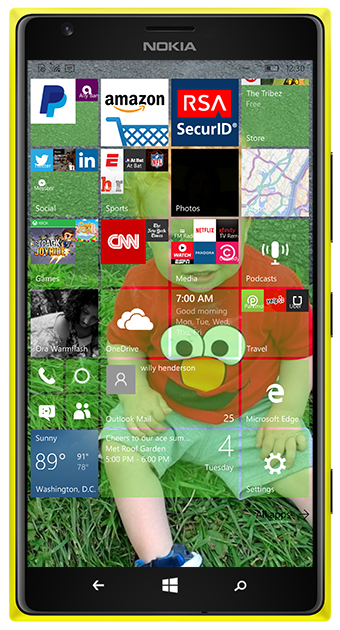 "Windows 10 Mobile," as it's now called, is customizable, colorful and intuitive. I just can't figure out whom Microsoft built it for. 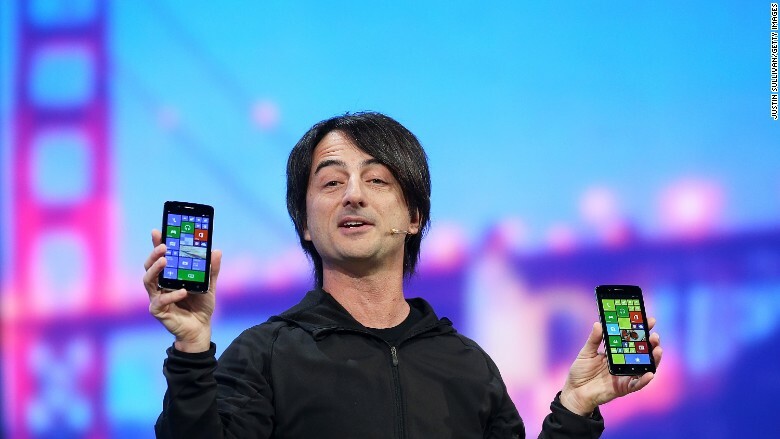 The slate of phones that run Windows are good but not great, and Microsoft has a well-known mobile app deficiency and quality problem. So unless you're an ironic hipster, you're probably only going to buy a Windows phone if you're an ardent Microsoft fan. But even if you ask Cortana to set all your reminders, use Office 365 to create all your documents, spend all day on your Xbox and have a Satya Nadella poster in your bedroom, there still isn't much about Windows 10 Mobile that Android or the iPhone can't do. The opposite doesn't hold, though. There's lots you can do on your iPhone or Android you can't do on your Windows 10 Mobile phone. As Windows 10 (mostly for PCs) is expected to run on 1 billion devices in a couple years, Microsoft hopes that the number of apps grows. Until then, let's look at how the preview build of Windows 10 Mobile is shaping up. Windows 10 looks cool. Its translucent tiles nicely hover over a background photo of your dog or child or selfie you took with Steve Ballmer at a Clippers game or whatever. The app tiles kinda sorta function as widgets, displaying relevant information (the weather app actually displays the weather instead of just saying "weather"), though you don't always get to control what information gets shown. Windows also manages sounds really well. When you push the volume buttons, you'll get controls for whatever song is playing (smart!) and a drop-down menu to adjust the ringer and notifications (even smarter!). Android is getting a similar feature in its next release. Office and Exchange integration is really stellar (no surprise there). Cortana is a great voice assistant with some clever jokes. And you'll get updates faster than on most Android phones. There are even nice touches in places you wouldn't expect. When you shut off your phone, for instance, Windows tells you "don't forget" and shows you your next calendar appointment. Nice looks, smart features and customization only go so far when your phone is handcuffed by a trio of app snafus: missing apps, bad apps and oddly designed apps. Though Windows' app store is smaller than Google Play and Apple Microsoft likes to note that the vast majority of the most frequently downloaded apps are available for Windows on a phone. That's true: Facebook (FB), Twitter (TWTR), CNN, The New York Times (NYT), ESPN, Amazon (AMZN), Candy Crush, the Weather Channel ... they're all there. But it's still missing some crucial apps. If you use Google, you basically have no business using a Windows phone. Unlike Google's recent acceptance of the iPhone, Google has essentially chosen to ignore Windows Phone. There's no Google Maps, Google Hangouts, Gmail, Google Now, Google Drive, YouTube ... you get the picture. Snapchat isn't on Windows 10 Mobile. Amazon Music and Prime Instant Video aren't either. Neither are popular apps like Periscope, HBO Go, TuneIn Radio or Out of Milk. And, most crucially, the killer CNNMoney app isn't available on Windows 10 Mobile either. Sometimes Windows itself is responsible for subpar apps. Microsoft wants all of its apps to get users to scroll left or right for more menu options instead of providing a menu button. The layout just doesn't work with some apps, including MLB At Bat, Amazon and Yelp, which all take far too many swipes to accomplish anything. So Windows 10 Mobile right now is mostly is about promise -- the promise that apps will be eventually get added to the platform, the promise that one day you'll be able to use your Windows phone as a mini-PC, and the promise of a third option in a world dominated by Apple and Google. It's not Windows 10 Mobile is bad. It's just that you're handcuffing yourself by using it.